All too often, when candidates apply for roles, they are never contacted if they are unsuccessful. Even attending an interview does not guarantee you any constructive feedback. 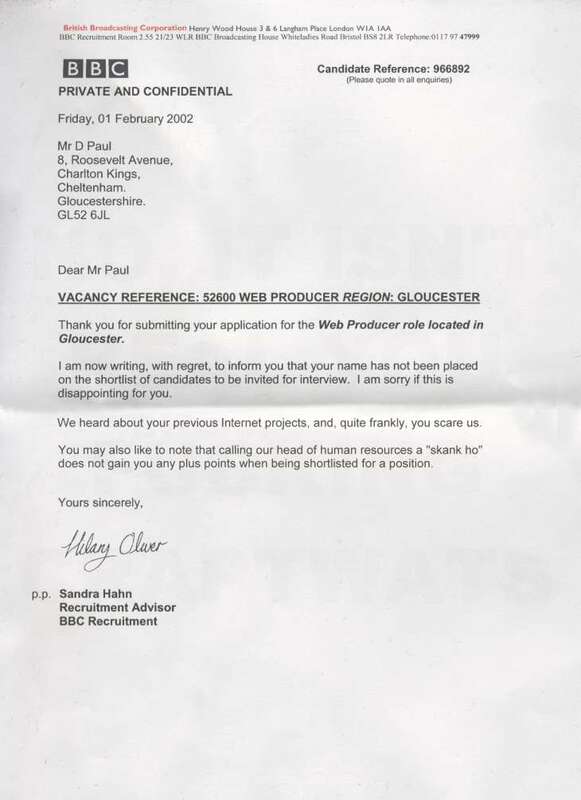 When employers do send out rejections, they tend to be impersonal and non-specific, either through a lack of time or from fear​of causing offence. Failing to give feedback is one of the most common mistakes employers make. This is especially important for non-profit organisations, as their employees usually overlap to a great extent with their supporters and donors. You want candidates to feel good about your organisation, even if they are unsuccessful, so they don’t spread negative comments about you among their friends and relations. Candidates also might not be right for one role, but could be a good match for a future vacancy, or could be a potential employee after they have gained skills and experience elsewhere. Turning them off your employer brand means you’ll lose them as a potential candidate (and possible donor or advocate) forever. Finally, if a candidate has taken the time to fill in an application form, or to attend an interview, it’s only polite to let them know the outcome. It may even save you time in the long run, as you won’t have to field calls or emails from candidates following-up. Best practice is to give a candidate feedback as soon as you are absolutely sure they are not right for the role, and to let them move on as soon as possible. You don’t need to wait until you have filled the post if you are sure the candidate isn’t right. Many employers already know at the end of interview (either on the phone or in person) if a candidate is a definite rejection, and it can be a good idea to let them know right there and then. Candidates usually have an idea if an interview has not gone well, and most appreciate candour and honest feedback. By giving a candidate feedback at the end of an interview, you won’t have to spend time following up with them at a later date. Very occasionally, the candidate will be able to counter your points, bringing them back into the recruitment process. You don’t want to miss an ideal candidate just because they may be a nervous or inexperienced interviewee. However, most employers still prefer to take some time after an interview to reflect on a candidate’s performance or compare notes, and contact them at a later date. The rule of thumb is to make feedback as constructive and personalised as possible. A standard email may be acceptable for candidates rejected prior to the interview process, but more detailed feedback is important for interviewees. 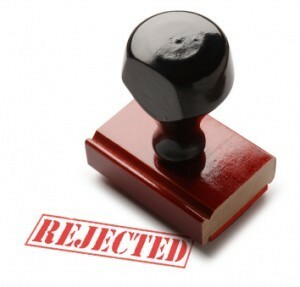 There is really no excuse for not sending at least an email to rejected applicants – most email software will allow you to set up a mail merge or autotext that enables you to do this in seconds. At this stage, all you need to say is that there was a high level of response to the vacancy and that other candidates met the person specification more closely. When you’re giving constructive criticism to a candidate, whether on the phone or by mail, it’s always a good idea to start off with the positives and give them some compliments before you tackle the areas where they fell down. Wherever possible, you should also end by repeating their strong points. This softens the blow of any negatives and is more likely to leave them with a positive impression of your organisation to take away. Unsuccessful candidates who have turned up for an interview expect and deserve a clear reason for their rejection, even if it is just “we have other candidates who better matched our requirements”. Wherever possible, tell them exactly which areas of the interview they could have handled better - most will already have a good idea of where they struggled. Make sure your reasons are concrete, not subjective like “I didn’t feel your personality would fit with the rest of the team”. You also need to avoid any comments that could be misinterpreted, like “I didn’t feel you could handle the workload” that could leave you open to potential charges of discrimination. Be candid but gentle in the language you use – being honest is not the same as being blunt and ultimately you want to leave the candidate feeling good about your organisation and about themselves if possible. Don’t mention the person you decided to hire in any way, even as a comparison. Feedback should focus exclusively on the person you are talking to. To make the feedback process feel less one-sided and more of a conversation, why not ask the candidate to supply their own comments on the interview. This can help head off problems with your recruitment process and gives you the chance to improve your interview technique. If you are likely to consider the candidate for future opportunities, letting them know you’ll keep their details on file will help soften the blow of the rejection. If the candidate has been interviewed, thank them for their time and wish them luck with their future job hunt. Always sign-off from a person, not just “HR Manager” or similar, and give them a way to contact you for further details if they need to. Using a recruitment consultancy like TPP will take most of the administration of recruitment out of your hands, freeing you to concentrate on your day job. We do the initial sift through candidate responses to advertisements, only shortlisting the ones we are confident will be a good match. We’ll also contact all unsuccessful candidates and pass on your feedback to them, ensuring they leave with a good impression of your organisation. We’ll also pass on any comments they make on the interview process back to you, which can be extremely useful as candidates are also more likely to be candid with a third party. For more information or to talk about a specific role, please contact the relevant TPP division. ​And some examples of how not to do it!